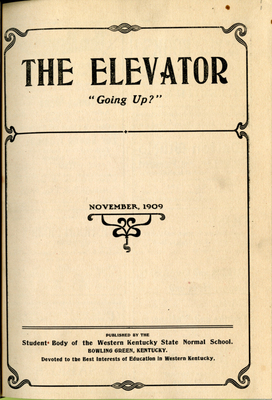 The first issue of The Elevator published by the WKU student body. It would continue to be published through 1916. It served as alumni newsletter, yearbook, literary and educational journal.